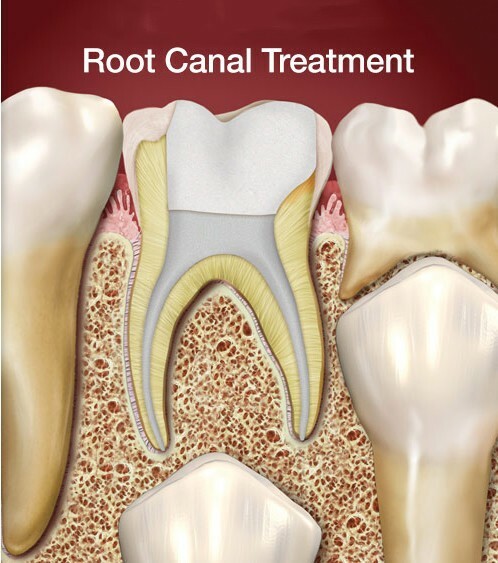 Root Canal Therapy - My Plantation Dentist - Heidi Finkelstein D.M.D. Had old or recent trauma to a tooth that may becoming discolored? Within each tooth, under the white tooth enamel and a layer called dentin, is a soft tissue called pulp. Nerves, blood vessels and connective tissue are contained in the pulp. When this soft tissue becomes inflamed or infected, it can be painful, result in the loss of the tooth, and even infect surrounding gum tissue and the jawbone. Trauma to the tooth can damage the pulp even if there are no visible signs of external damage. Damage to a tooth such as a chip, crack, extensive decay (or cavity) or even a faulty crown may be repaired using root canal therapy. Often you won’t feel any pain during the early stages of the infection but over time your tooth may darken in color or you may develop discomfort with temperature foods which is an indication that the tooth’s nerve is dying or has died. 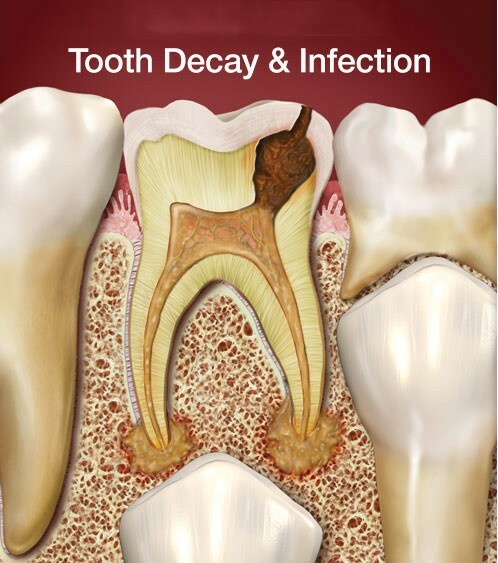 However, in order to save the tooth, endodontic therapy can be performed to remove the inflamed or infected pulp, carefully cleaning and disinfecting, and then restoring and sealing the area, to save the tooth and prevent the spread of the infection to other areas. Once completed a crown will be necessary to protect your investment from any farther damage. Dr. Finkelstein understands that the thought of Endodontic Therapy may be nerve wrecking for many patients and takes the time to explain your options, the risks and the benefits. She also takes the time to make sure the procedure is comfortable, anxiety free and pain free as possible. Call us at (954)584-1030 to discuss your options.